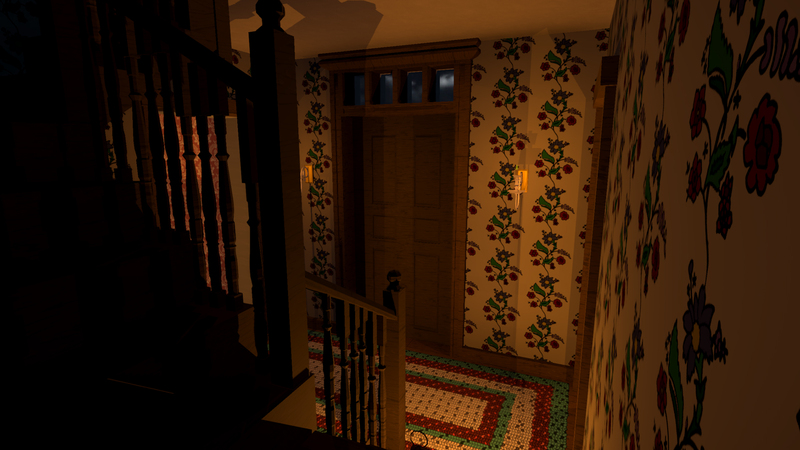 September’s #screenshotSaturday posts primarily highlighted some major improvements we made to the Hancock-Clarke House, and in particular, the hard work of our summer level builder, Anna, and our incredibly talented artists. In fact, our work managed to garner the attention of the Lexington Historical Society! It was definitely an exciting month, so let’s dive in and see what we shared. 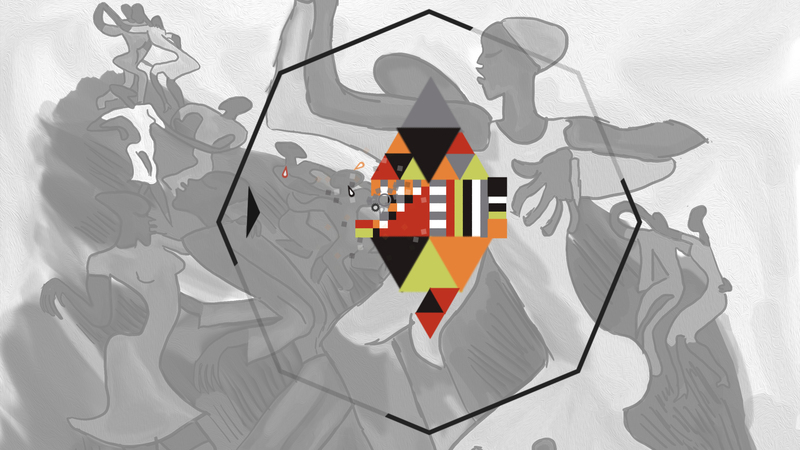 September’s Mondrian – Plastic Reality screenshot showcased the Suriname Smash level, created by Anna, along with a Loïs Mailou-Jones background, created by Ilayda. This level is one of the first ones we released that uses Plastic Reality‘s new painted colors. Even though the level itself is set to monochrome, painted blocks will always display in their painted colors. This gives users artistic freedom not just in the design of a level but in its visual style as well! Make sure to check out the EX5.1 update for the latest info on improvements to painted and analogous colors. The in-game Hancock-Clarke house, much like the real Hancock-Clarke house, has undergone massive renovation. The geometry has been cleaned up and reshaped to be more historically accurate. Textures have been replaced based on references made in the Historic Structure Report. 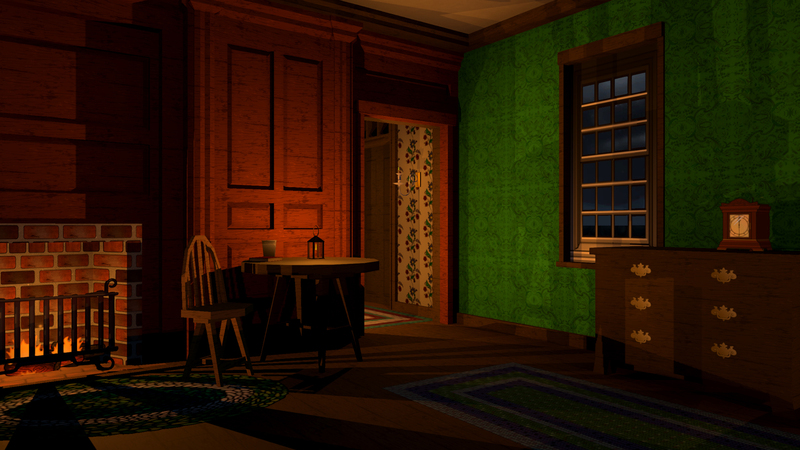 Some new sprites have been added, including the China set, a new rug, some muskets above the fireplace, and more candlelight. Moving into the front hall, we can see more geometric and texture improvements. The doorway has been given an overhaul with new glass textures overhead. There is a lot more lighting, with both lanterns and sconces providing some much-needed visibility in the room. We are also currently using one of the first wallpapers Karen designed for the game a couple years ago. Overall a big improvement! Moving through the hall we come to the Hancock Adams bedroom, which had a very striking, green, floral wallpaper. We used a grayscale version of Ashley’s floral wallpaper, and applied the green color to the material in Unity to achieve the effect. Still using the Historic Structure Report, we careful recreated the rest of the room, from the paneling to the fireplace. 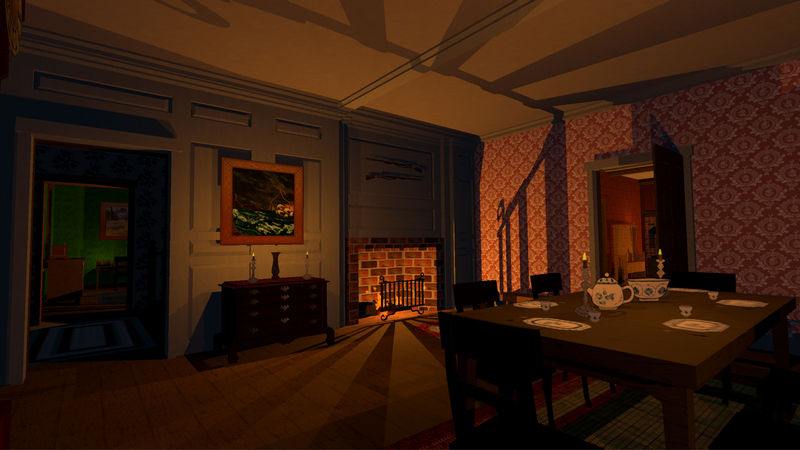 Furniture like the round table and Madison’s clock have also been added to give the room character, as well as Christine’s fireplace animation and Bridget’s fireplace grate. Manning’s braided rug sprites have also been used to good effect here and throughout the rest of the house. The efforts of the whole crew have really come through in the Hancock-Clarke House, and there’s plenty where that came from! Finishing off the month was a look at another new, painted level in Mondrian – Plastic Reality, Dreamcatcher. 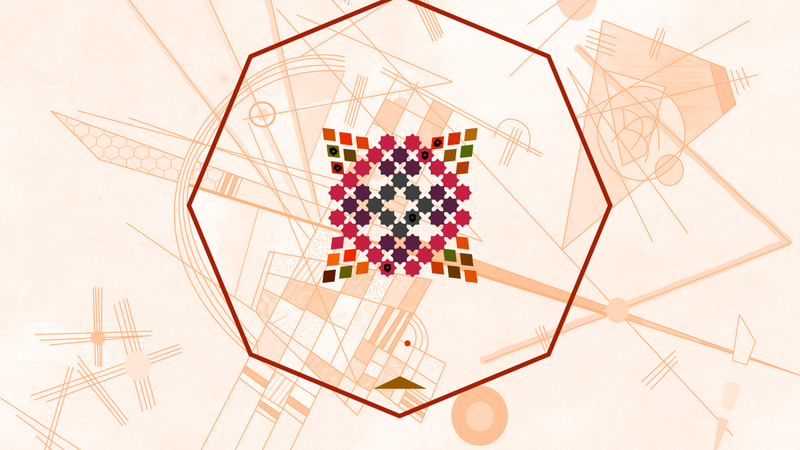 This level uses a combination of not just shapes and angles, but also both painted and unpainted colors. This gives the level both some consistency every time you play it, but also some visual variety! It also goes to show that you don’t have to paint every block in a level if you don’t want to. You can leave some unpainted and let the game do the rest! If you’ve been keeping up with our social media, you’ve so far seen some beautiful improvements to the analogous color generation in Mondrian – Plastic Reality, and also a sneak peak at another level getting a huge makeover thanks to our level builder Kim: The Boston Gaol! There’s more of the Gaol in store for the rest of the month, so make sure to follow our Instagram for the latest #screenshotsaturday posts. As always, if you’d like to support Lantana Games, don’t forget to pick up a copy of Children of Liberty Early Access, Mondrian – Abstraction in Beauty, or the newly released Mondrian – Plastic Reality Early Access on Steam or itch.io. You can also grab a t-shirt, coffee mug, notebook, poster, or whatever else you’d like at our Redbubble Shop! Every little bit helps!